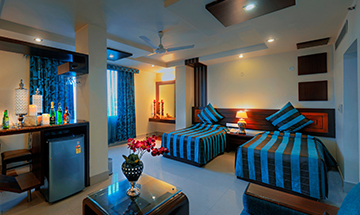 A Luxurious property with 3 Star Amenities at Fatehabad Road Agra. 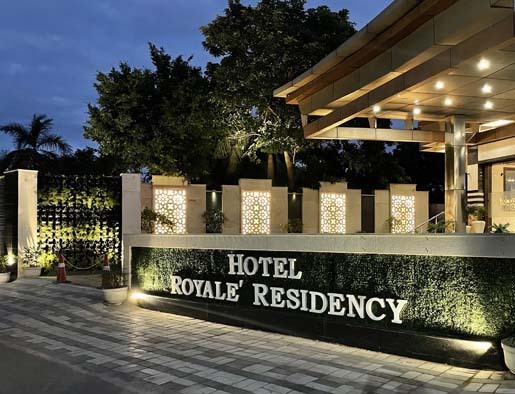 Hotel Royale' Residency, situated in the city of the Taj, provides Three Star Hotel facilities that discerning Travellers look for. Having 54 Rooms including 18 Super Deluxe rooms, 20 Deluxe rooms, 12 Executive rooms, 2 Family Suite & 2 Luxury Family suite, BAR, SPA, Mini Hall, Conference Hall, Spacious & Huge lawn (accompanying 800 – 1000 persons) & Multi – cuisine Restaurant. 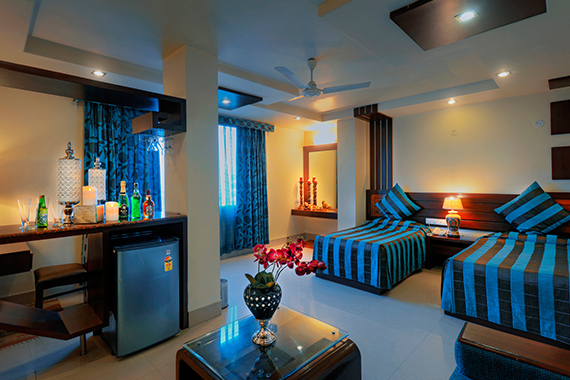 It has Large & Spacious Rooms. 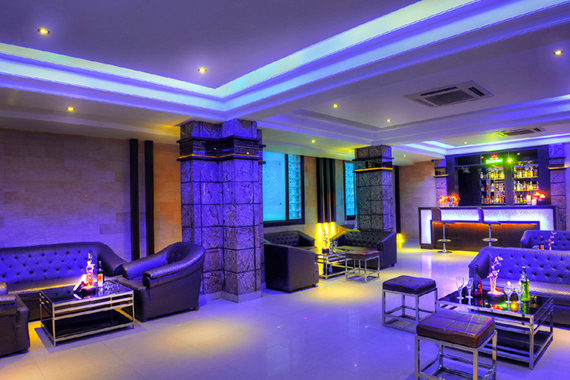 The rooms have a touch of royal rich interior blended With Sophisticated elegance and splendour. 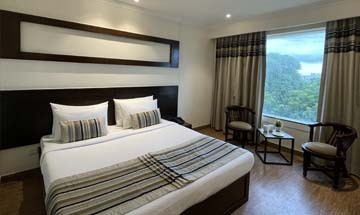 It has spacious Executive Deluxe, Suites & Family Suite Rooms Combining the best of luxury and Comfort. 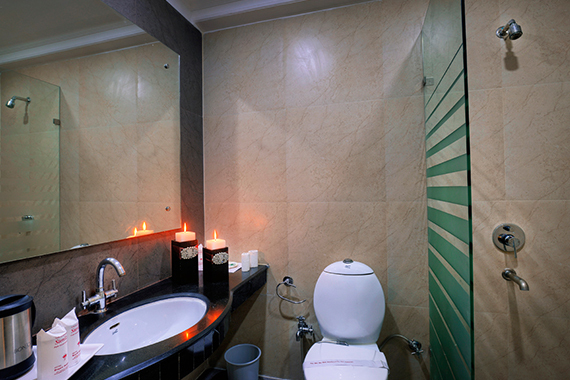 Rejoice in the comforts offered by the hotel. 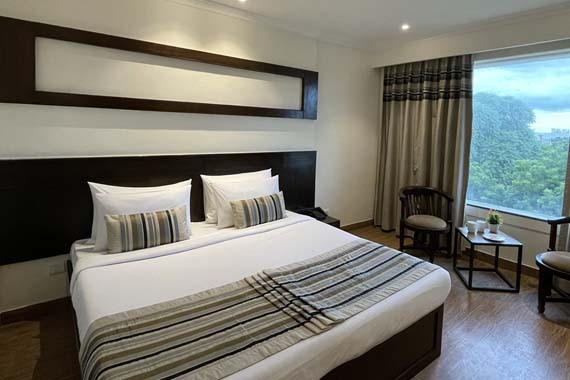 We have separate business floor having 10 executive suites which have a room size of 20x20 which is 400 Sq.Ft and is perfect for the travellers seeking for luxury as the rooms have a touch of royal rich interior blended with sophisticated elegance and practicality and space. 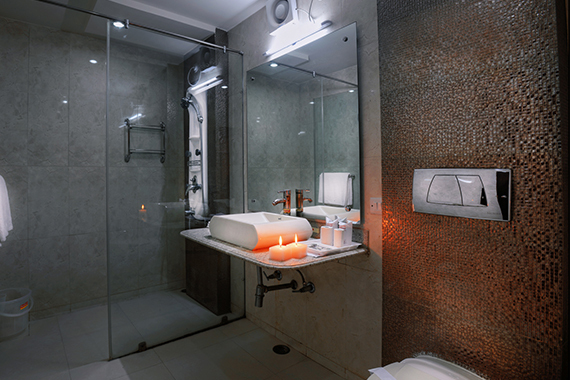 We give you more than just a hotel , We give you comfort , enhanced by a style and quality of service uniquely our own and that leads to complete peace of mind . Touch Down on The Hotel Royale' Residency and you will soon know you've arrived at a very special place -A very own castle in the city. 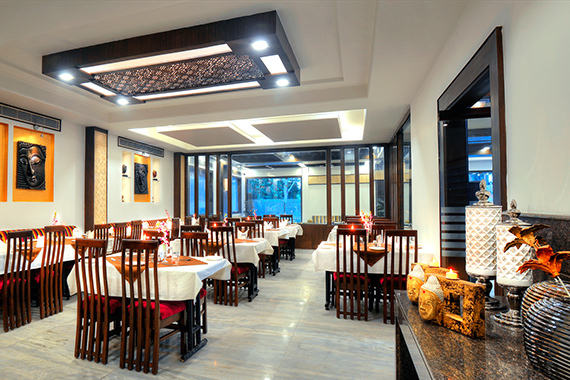 Tastefully designed & comfortable interiors coupled with warm hospitality is sure to make it an idea destination for your holidays. This contemporary designed king-bedded or a twin bedded room with an undertone of Indian richness creates an inviting ambience. 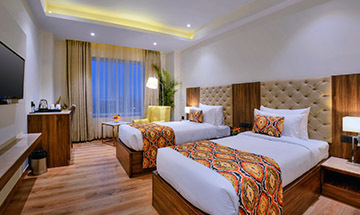 An aesthetically designed space equipped with a range of modern facilities and amenities, the spacious Executive Room caters to your every need and comfort. Get more. Stretch out over 570 sq. ft. (53 sqm) with a large bedroom, separate living room and a dressing area. The Royale' suite has a well-separated plush sitting area. 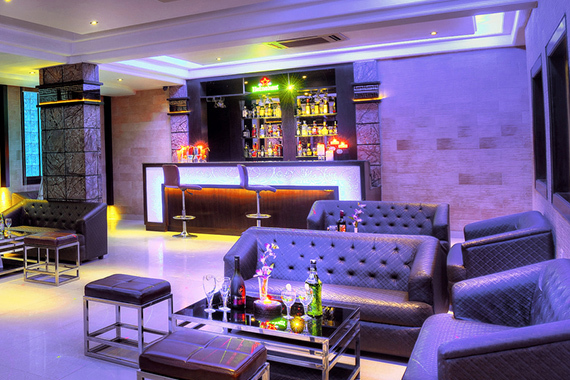 It boasts of Subtle yet elegant interiors and fabulous views add to the sheer pleasure within. Our swimming pool is pure serenity from the bustle of the city. Enjoy your time in the pool with a view of garden along with spectacular sunsets. The garden pool features leisure facilities and it's the perfect way to unwind and enjoy unmatched style and luxury. The Royale' Spa, offers a range of Royal, Eastern and Western massage treatments that will relax, revitalise and rejuvenate the sprit and the body. Specially designed spa treatments using traditional Indian oils deeply nourish your skin and leave a long lasting, rich lingering fragrance. 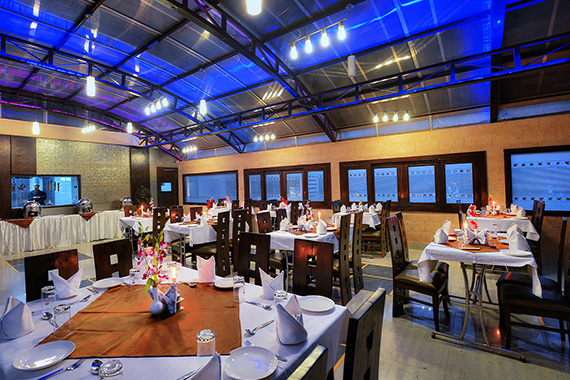 A unique dining experience awaits you at one of the tastiest places in Agra, offering an assortment of cuisine both local and international with varied dining options. Our comprehensive bar menu includes classic Martinis, single malts, American whisky, gins, rums, tequilas, cognacs, champagne cocktails, classic cocktails, Royale' signature cocktails and mocktails, Royale' signature iced teas and speciality coffees, all served to perfection from noon until midnight. 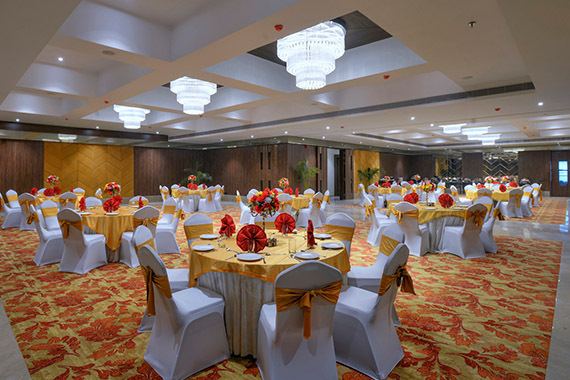 We provide a variety of elegant settings, which can be tailored to your specific desires and demands to accommodate upto 800 guests. Our catering options include the most exquisite choice of International cuisines. Discover fancy wedding reception setups with designer buffets and live food stations, which add excitement and showmanship to the entire experience with an option of choosing the venues from across 5 venues, which includes Gardens, Rooftops and Banquets. 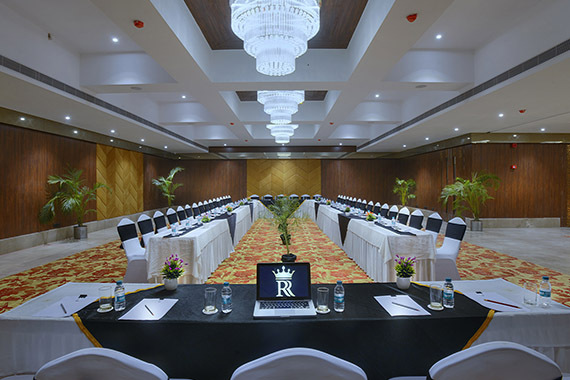 Plan a large corporate event at Hotel Royale' Residency, which provides more than enough space for the corporate guests spread across four venues. We can help you set up a presentation with our audiovisual equipment and on-site technical support, perfect for displaying meeting notes for upto 300 guests. 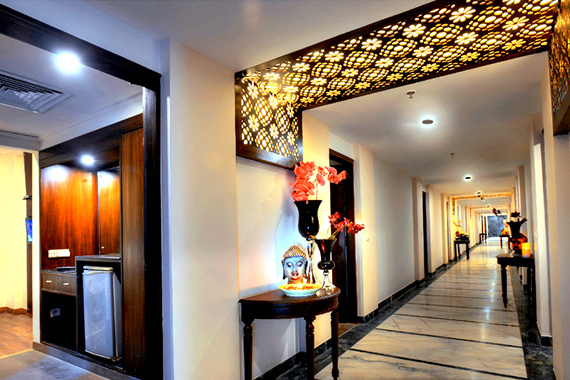 Your event guests will appreciate the hotel's proximity to the beautiful Taj Mahal, one of India's most-loved attractions. 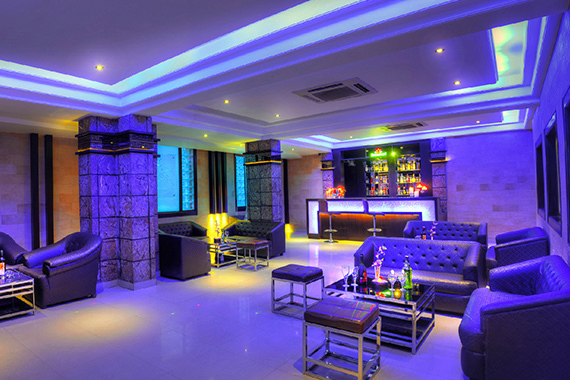 The hotel facilities, eg the room, the restaurant and staff were very satisfactory. What really made the difference for us was the help we received from the manager when our train was delayed from 9pm eventually until 10am (13hours! ); he allowed us to stay in reception as our train became more and more delayed and delayed the arrival of our car. We were provided with water and blankets and spent the night so much more comfortably than it would have been on the crowded station. Thank you and well done! 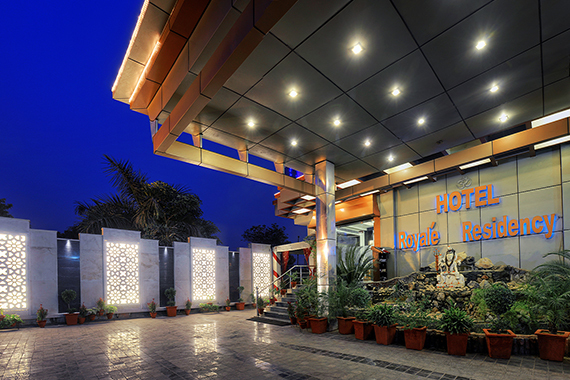 Hotel Royale' Residency, situated in the city of the Taj, provides Three Star Hotel facilities that discerning Travellers look for. 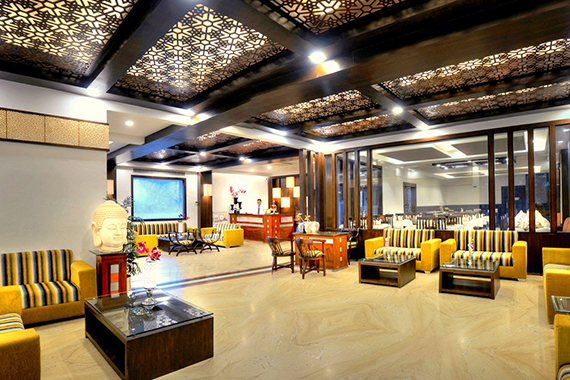 Having 54 Rooms including 18 Super Deluxe rooms, 20 Deluxe rooms, 12 Executive rooms, 2 Family Suite & 2 Luxury Family suite, BAR, SPA, Mini Hall, Conference Hall, Spacious & Huge lawn (accompanying 800 – 1000 persons) & Multi – cuisine Restaurant. 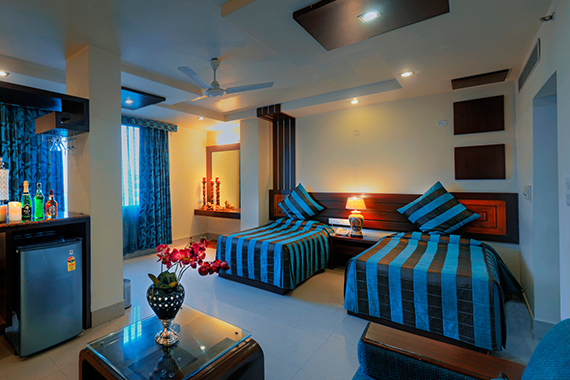 It has Large & Spacious Rooms. Copyright © 2019 All rights reserved. Designed by India Interactive.